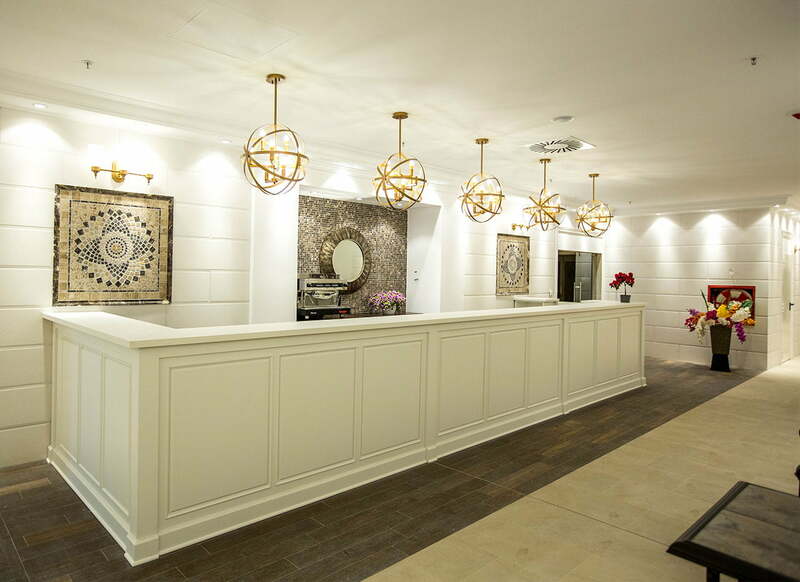 We plan to bring the SPA experience to a new level of sophistication, so even the most exigent tastes will be fully satisfied in the most luxurious SPA. 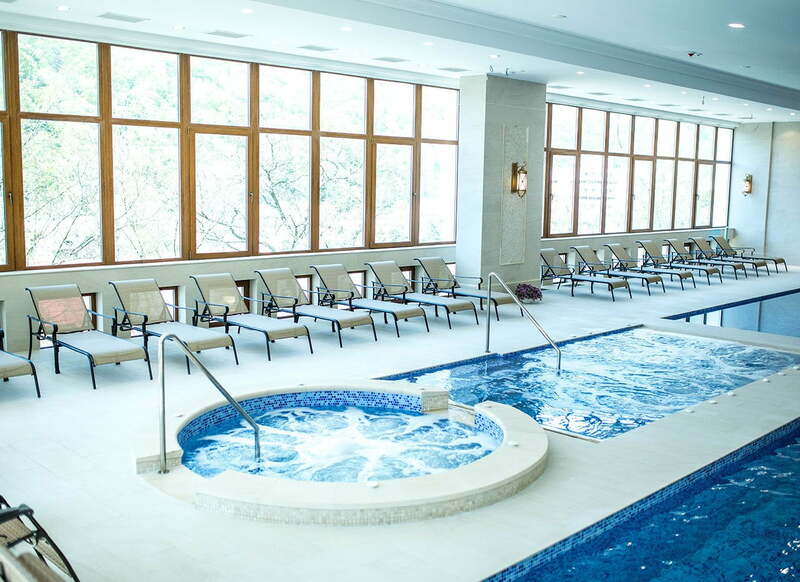 You can swim in the semiolimpic pool, you can opt for the hydromassage pool, where the 3 jets for each place, aim to relax the muscles in the lumbar area, shoulders and legs. 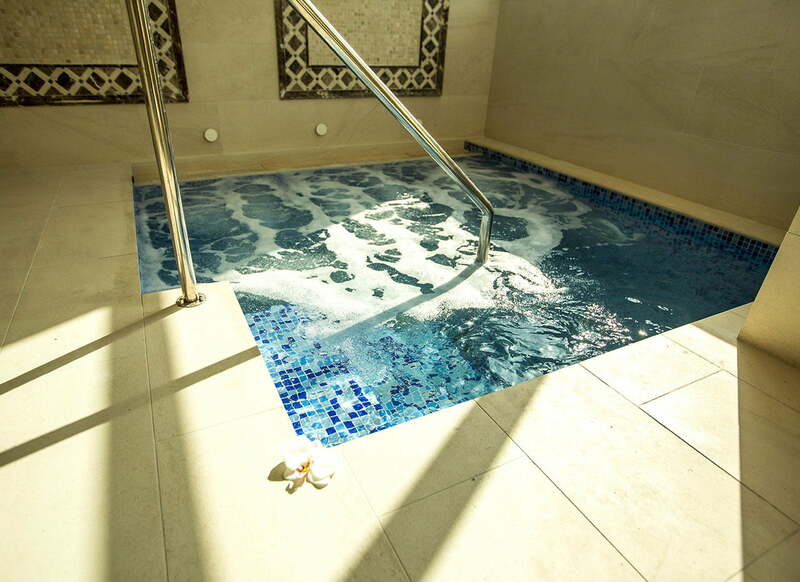 An ideal choice is the jacuzzi, where bubble play will contribute to your well-being. 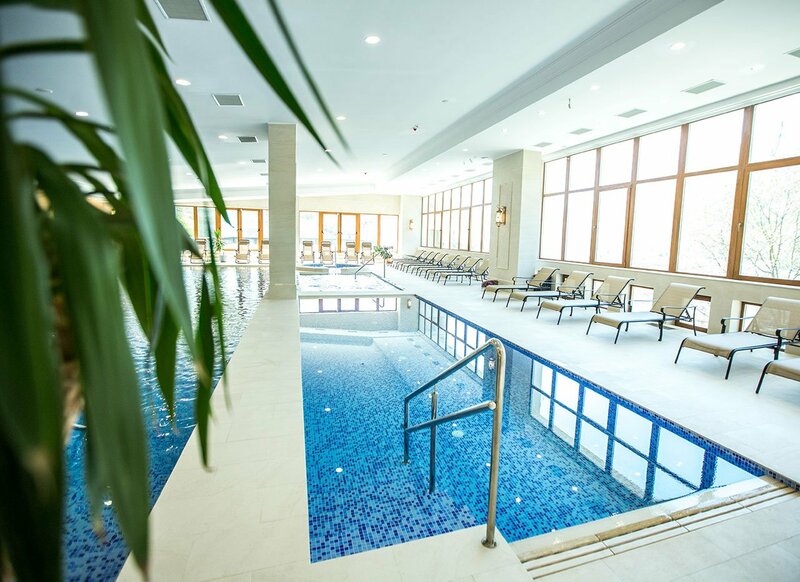 At Grand Hotel Minerva children are a priority for us, so we created a pool for them only, where they can play under the supervision of their parents. 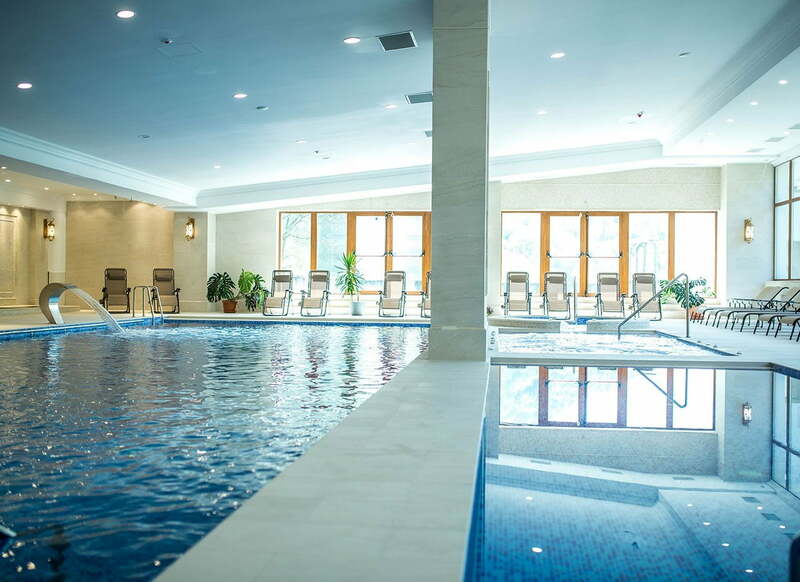 It alternates cold and warm water in the legs, and the various stone textures in the pools, helps stimulate circulation, and has effects similar to reflexology and acupuncture. 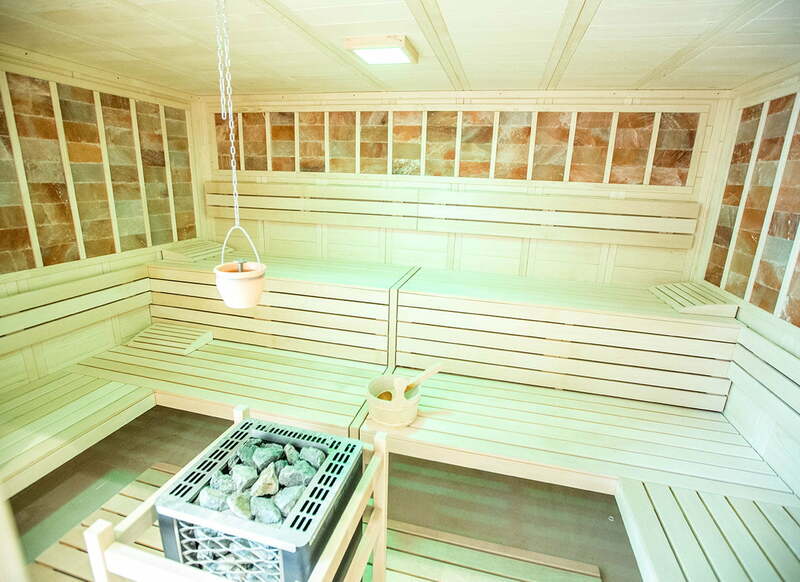 A complex and complete experience we offer you through the 5 saunas and the properties that each has. Whether you pay more attention to your overall health and physical appearance, or want to increase your team’s performance, at GHM a fitness room equipped with equipment is at your disposal throughout your stay. We are the first address on the list your options when it comes to sports and health! Post-treatment for sports injuries or muscle pain after training. Positive effects in treating lumbago and rheumatism. Blood flow improved so the body is better supplied with oxygen. Metabolism and blood circulation are stimulated. IR radiation can be beneficial in preventing heart disease and illness caused by poor blood circulation. Infrared radiation causes processes that purify the body and reduce the acidity level in the body. Alternative treatment for the prevention and treatment of various respiratory diseases. Strengthens the immune system. Helps detoxify the body. Improves digestion. Regenerates the skin, reduces the effects of fatigue and stress. 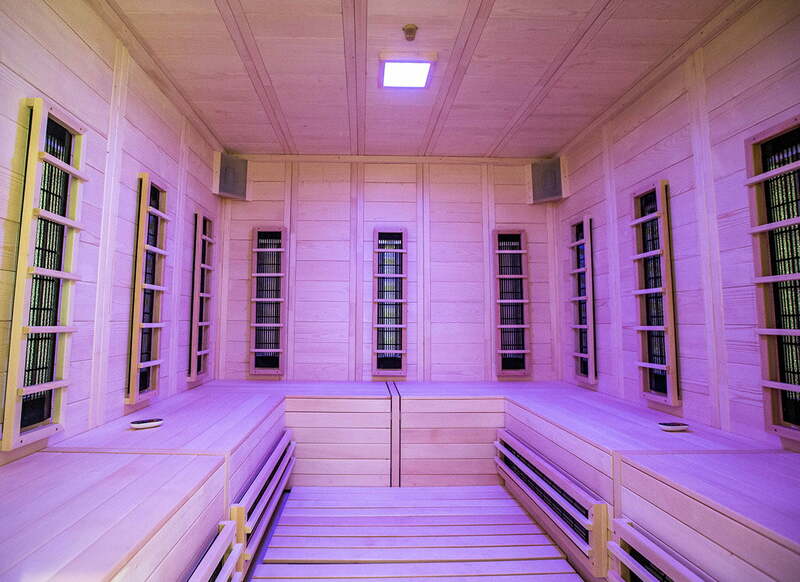 Bio-Sauna combines the benefits of a steam bath with those of the traditional Finnish sauna but in a milder version with moderate temperature and humidity. 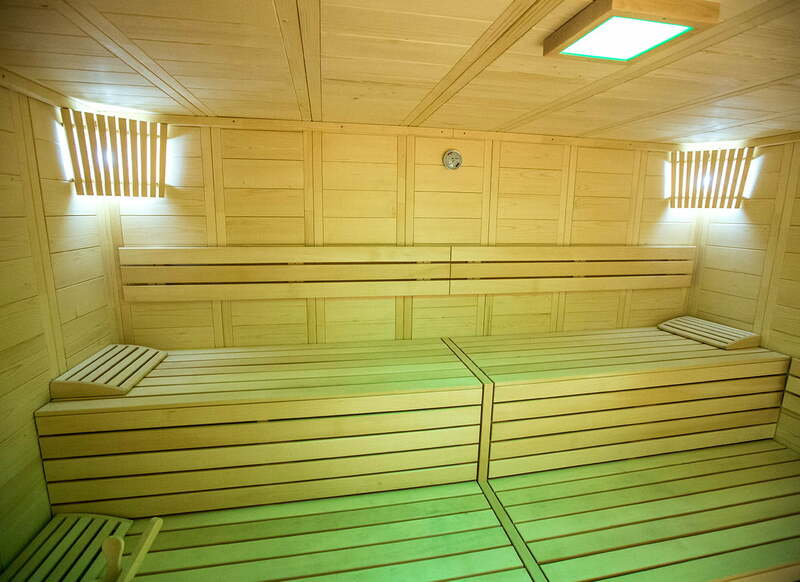 These features make the Bio-Sauna a non-aggressive relaxation and detoxification method, which is why the exposure time may be higher than the other two. The beneficial effects of Bio-Saunei are potentiated by aromatherapy. It helps remove toxins from the body because it is sweating intensely. 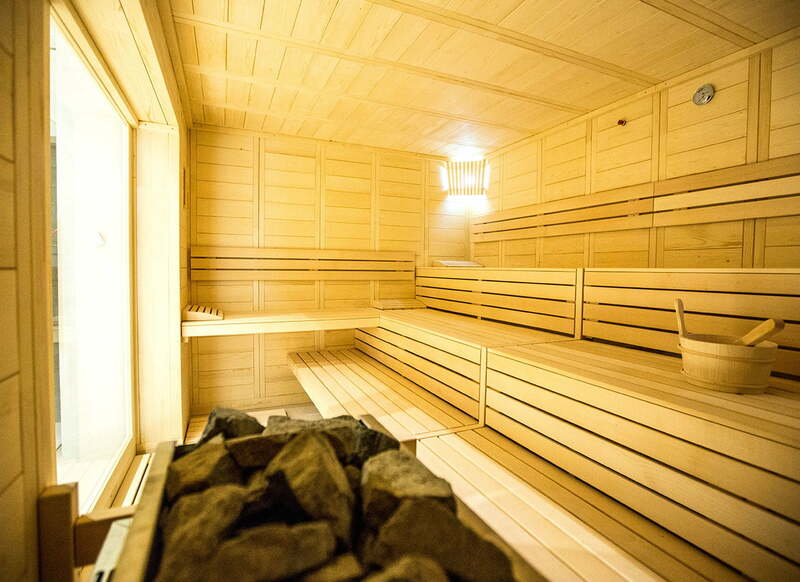 The heat relaxes the muscles and the sauna is indicated after a sporty workout. Cleans the skin and stimulates cell regeneration. Stimulates the adrenal pituitary system. 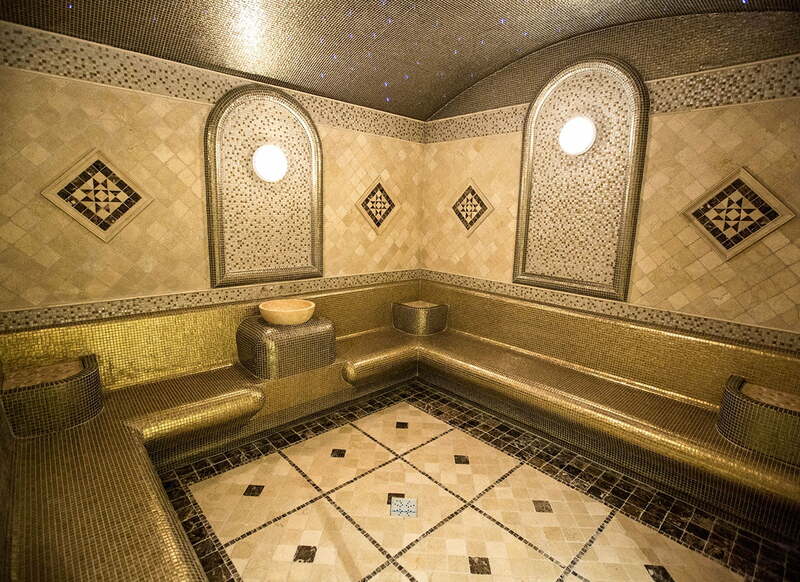 The hammam is an ancestral ritual of beauty and strengthening of the body, having an extraordinary capacity to restore well-being and purify the body, both on the outside and on the inside. Not only do you cleanse your skin in the most effective way, but also purify your internal organs, releasing them from toxins. 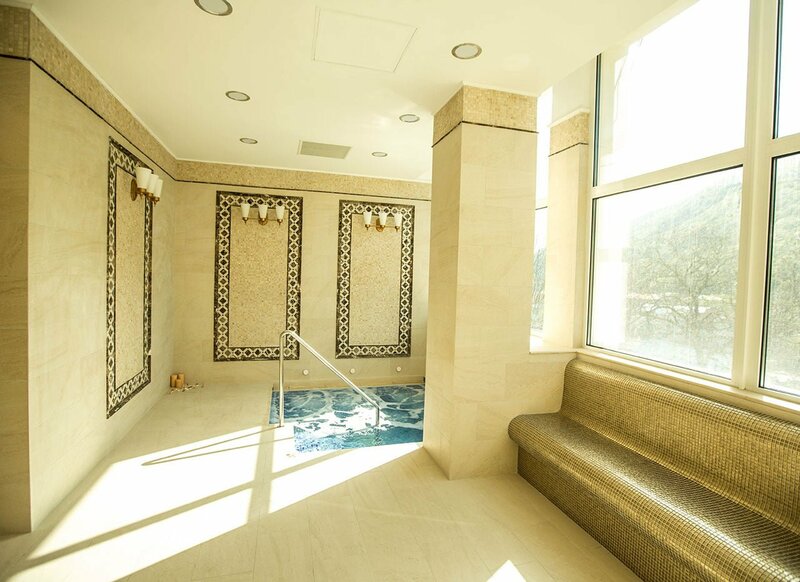 After staying in a hot-air sauna, it is recommended to immerse yourself in the cold-water jacuzzi in the immediate vicinity to increase immunity and regulate circulation. 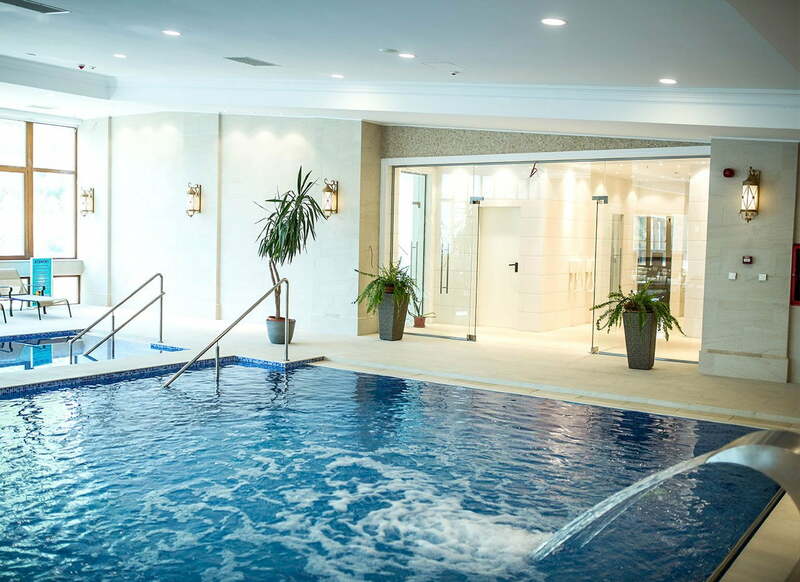 Here, our guests are invited for a few moments in a relaxing room with permanently heated 37 degrees. As wellness procedures ladies can enjoy beauty treatments, body massages, wrapping, aromatic plants. 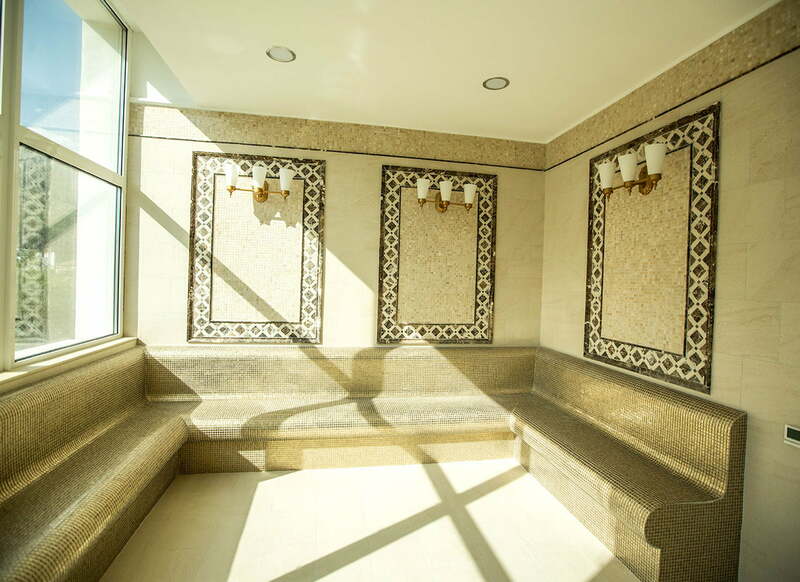 Neither gentlemen are neglected, so after a visit to the fitness room, they can benefit from the same procedures as cosmetics addressed to them. 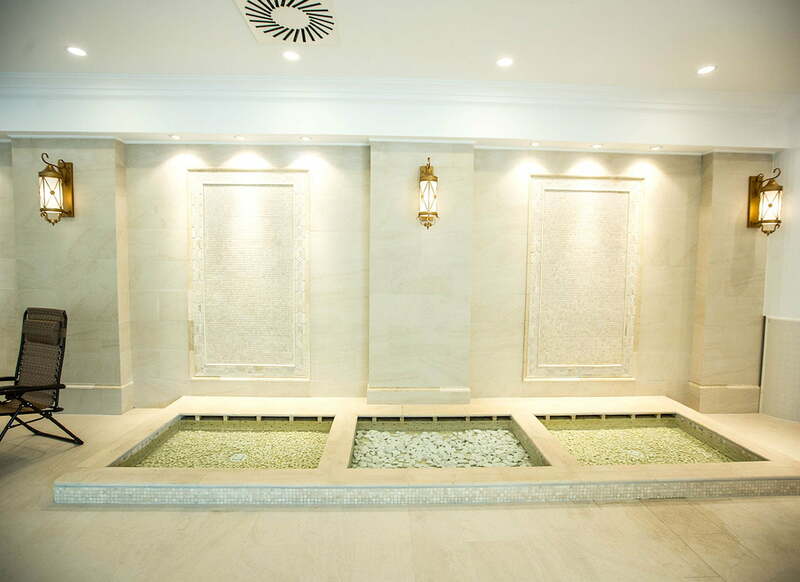 Details of the beauty packages can be obtained at Armonia Spa reception, under the guidance of our specialists. Because the time spent in the Spa center is more enjoyable, we offer a variety of soft drinks, fresh drinks, coffee, teas, and in summer you can enjoy the sunshine on the sun loungers on the outdoor terrace.